Are You a Thermometer or a Thermostat? I heard this question asked a few days ago and it got me to thinking about the difference between the two. A thermometer lets us know what the current temperature is. It is straight forward and merely reflects the environment that it is in. While a thermostat can be adjusted to different temperatures depending on the environment and the needs of those nearby. It made me think about how we react within our work place and how we manage our personal work journey. Are we merely a reflection of those around us or do we take steps to change our environment? That’s a great comparison. I’d like to take it a little further. When you are acting as a thermostat, you are taking control of your surroundings. If you are not happy in your current position; you assess the situation and then make the necessary changes so that it is more to your liking. There is nothing that says you have to keep the setting the same all day long. There are plenty of people who have a different setting in the morning versus night and you can do the same for your career. In my newest book, I talk about the importance of understanding your influence. 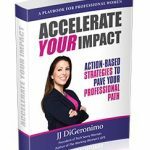 In Accelerate Your Impact: Action-based Strategies to Pave Your Professional Path, I offer a series of proven initiatives that high impact men and women leverage to accelerate their professional paths. Through personal anecdotes, examples, and stories from those who have stumbled, fallen and succeeded, readers learn how to focus on specific actions to maximizes their talents and make their professional goals a reality. In some cases you need to make a few minor adjustments to reach your ultimate goals, while in other cases, you will need to make significant changes in your skill set, experience, and in the people that are part of your network. The good news is that the changes necessary are within your control. Unlike a thermometer which can’t be changed because it is just reflecting facts as they are; you have the ability to guide, change and reset the direction of your professional path. So which are you? Are You a Thermometer or a Thermostat? 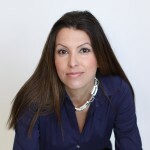 Check out JJ’s new award winning book Accelerate Your Impact by downloading three free chapters.